Explorer Motor Yachts 58 Pilothouse new build : Atlantic Yacht & Ship, Inc.
Explorer Motor Yachts and Atlantic Yacht & Ship Inc. are working together to bring Explorer Motor Yachts to North America. The complete line-up of yachts from Explorer Motor Yachts range in size from 46′-62′, and are available for delivery through Atlantic Yacht & Ship Inc.
Atlantic Yacht and Ship proudly introduces the Explorer 58 Pilothouse to the American market. She is the latest of our new construction projects. Mark Williamson (naval architect) and Mark Campion (Explorer Motor yachts) spent countless hours perfecting this model. Of course, they utilized their experience from the previous 4 builds. The Explorer Motor Yachts 58 Pilothouse combines the renowned and respected Explorer construction and interior finish with a completely new, stylish exterior to produce a totally fresh approach to the World of Semi- Displacement, trawler yacht design. Additionally, the American Version utilizes the most popular and reliable marine equipment typically preferred by US yacht owners. Step into a world where high performance meets impeccable luxury! 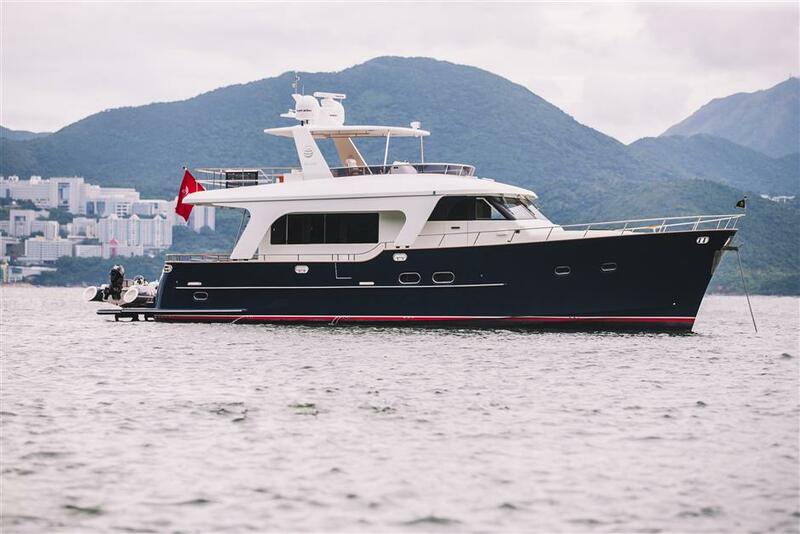 The Explorer Motor Yacht 58 Pilothouse has living space to satisfy your every need. For instance, there is an expansive galley and a handsome dinette at the pilot house level. A large, luxurious saloon affords clear views from the helm to the aft deck. Furthermore, three comfortable cabins include a full-beam master suite. There are options of a large open cockpit for entertaining, comfortable walk-around decks, and an enormous flybridge. As a matter of fact, the flybridge sets an impressive stage with abundant seating and a large wet-bar with electric grill, sink and refrigeration. The Explorer 58 Pilot House semi-displacement hull design delivers exceptional stability and fuel economy. In addition, twin turbo diesel engines offer a choice of speed or economy. We know you will be delighted with what you see in this exciting and brand new design from Explorer Motor Yachts. For additional information and pricing contact Brad Nelson 954-205-7944 or email brad@ayssales.com AND/OR Tim Kings 904-806-4519 or email timkingsyachts@icloud.com.